2. 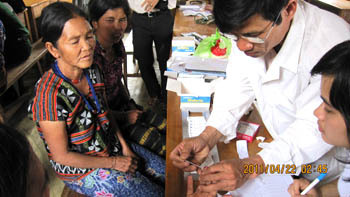 6 districts with 43 communes (302 villages) in malaria-endemic areas. 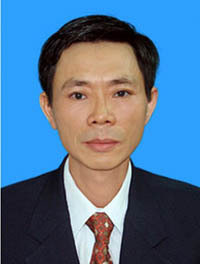 Hoang Van Hoi, MD., MSc. - The centre was established according to the Decision No.39/YT-QD dated 29 July 1989 of Thua Thien Hue Health Department, the Decision No. 732/Q?-UB dated 19 October 1991 and No. 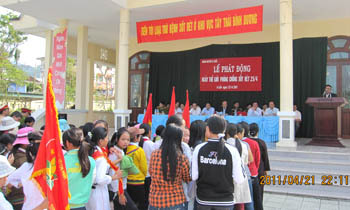 1329 Q?/UB dated 22 June 1999 of Thua Thien Hue People's Committee o­n assigning the functions, duties, authorities, structural organization of the provincial health organization system. - Provide counselling for the director of the Provincial Health Service o­n the deployment of technical and specialised tasks of controlling malaria, other parasitic and vector-borne diseases in the province. - Set up implementation plans for technical expertise activities relating to the control of malaria, other parasitic and vector-borne diseases in the province. - Coordinate with the Provincial Health Communication and Education Center and other mass media organisations to launch health information, education and communication o­n controlling malaria, other parasitic and vector-borne diseases. - Provide training and retraining of expertise knowledge and skills of preventing malaria, other parasitic and vector-borne diseases for specialised staff and others in accordance with the central and provincial plans. - Conduct scientific research and apply the progress of science and technology to control malaria, other parasitic and vector-borne diseases. - Manage and deploy the projects belonging to the National Health Target Programme and other projects of malaria, parasitic diseases and vector-borne diseases control. - Undertake control services of malaria, other parasitic and vector-borne diseases according as regulated by the laws. 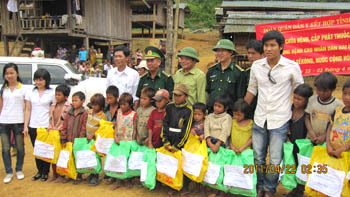 - Cetificates of merit of Thua Thien Hue Provincial People's Committee for the excellent accomplishment of the health missions in 2006 and 2008. - Certificate of merit of MoH for the excellent achievements of malaria control activities in 2007 and 2008. - The title "Excellent Labour Collectivity" in 2006, 2007, 2008 and 2009. - Merit flag of MoH in 2009. - Certificate of merit of the Prime Minister in 2010.